Tesla Model 3 Vs. Chevy Bolt: Which One Is For You? How do the Tesla Model 3 and Chevrolet Bolt EV compare? Before we even begin to get into the meat and potatoes of this comparison, we’ll say the same thing Two Bit da Vinci says as he begins this video. Yes, the currently available Model 3 costs much more than the Bolt EV and the $35,000 Tesla is not yet available. Yes, each of these cars may attract two very different groups of people. That couldn’t be more obvious as we read the constant rivalry in our comment section. But, let’s face it … both cars are long-range EVs, and regardless of which one appeals to you at first glance, there is a whole lot more to consider when making a vehicle purchase. 2018 Nissan LEAF, Tesla Model 3, Chevrolet Bolt: How Do They Compare? Two Bit da Vinci says he got flack in the comments of one of his previous videos for referencing the non-existent $35,000 Tesla Model 3. He was also asked to compare the $49,000 Model 3 with the Chevrolet Bolt EV. The above video came about partly because of those comments. He says there are some people considering purchasing a Bolt EV instead of a Model 3, mostly due to its range and availability. So, it makes sense to take a look at what sets them apart. This comparison doesn’t just pertain to each car in terms of its individual performance and interior review. Instead, it speaks to each electric car’s price, availability, income tax credits, lease vs. buy, insurance costs, repairability, cargo capacity, and warranty. Of course, he also covers range, speed, charging, tech, and safety. Do you own a Tesla Model 3? A Chevrolet Bolt EV? Both? Check out the video and let us know your opinions in the comment section below. How do you feel about his insight and analysis in each of the above categories? Some have asked us to compare the $49K Model 3 to other cars, like the Chevy Bolt. We will look at several aspects of these two cars, and then talk about which car might be right for you. 83 Comments on "Tesla Model 3 Vs. Chevy Bolt: Which One Is For You?" For me personally, the hatchback form factor makes the Bolt much more useful, as I’ve fit things in my Bolt you could never fit into a Model 3. The Bolt’s hatchback form factor was definitely welcome when I had to move things in storage to prep for selling our house. Still strange that Tesla decided to make the Model 3 a sedan vs hatch/liftback like the S. I bet plenty of people would have happily sacrificed some rear headroom if it meant having a hatch vs trunk. I agree with you. Look at sales of sedans in the United States in August. Fell like a rock. The Model 3 should have been a hatchback like the Model S. If I had to guess, a sedan is less expensive to build than a hatchback. Look at the sales of the TM3, the highest they have ever been. Is there a 200k wait list for any hatchback car?????? I don’t know about sedans being “cheaper to build.” But it is more difficult for a hatchback to perform well in crash tests. Though the real reason that the TM3 is so critical is because all of the top selling non-pickup vehicles are still midsized sedans. Which one is ‘Tow Rated” for towing a light trailer? That is the one I would go for. Which one is made in a RHD version? That is the one for me. Similar here. Form factor was a major deciding factor for me (although not the only one). The Bolt has a much roomier back seat, and a larger trunk than the Model 3. I use it as a family hauler, so the extra space is appreciated. Recently I took my family on a 1,340-mile trip through New England, which included a couple of days camping in NH. The OEM roof rails allowed me to add a cargo box, which carried our tent and other camping gear. The rest of our stuff fit neatly in the trunk. I had packed the trunk up to the ceiling, but it was no bother. With the camera-based rear-view mirror, I still had a perfect view of the road behind me. As for the supercharger advantage, that is quickly diminishing. The CCS network is growing rapidly, with a huge surge from Electrify America. 55kW was fast enough, since we planned charging stops during meals. An hour later, we were on our way again! … And checking plugshare, California I5 between SF and LA is still a charger desert for CCS. Its really testimony to the lack of seriousness from GM to a charging network. Meh. Count me as one who doesn’t believe GM should be responsible for charging infrastructure. Check back next summer, when Electrify America has completed their first round of investments. Doesn’t matter who is responsible. The reality is the charging infrastructure just isn’t there in most areas for anything but Tesla. It wasn’t Tesla’s responsibility to build the Super Chargers but they realized the needed to if they wanted to sell cars, as no one else would. Tesla had to build the Supercharger network because at the time they were the only EV out there and they only sell EVs – chicken and egg problem. Tesla also has to sell EVs to stay in business. The fact of the matter is, GM can get by just fine with only selling EVs to commuters with home chargers. They can afford to simply wait for someone else to step up and build the chargers. And yet Mary Barra recently discussed that GM recognizes the need for them to build EV charging infrastructure or invest to build it via existing providers. And they started doing this already by working with a company to build out dedicated charging infrastructure for their Maven fleet. Take 99 instead. It adds perhaps 10 minutes to the drive compared to 5. And plenty of CCS charging stops on route. I agree, it does seem strange that Tesla sacrificed the utility of having a hatchback (or “liftback”, as the Model S’s hatch is called) in favor of perhaps two more inches of headroom in the back seat. Considering how rarely the back seat gets used in most sedans, I think it wasn’t the right choice. This is the only thing that keeps me from getting a M3. So many other advantages though: charging, AWD, better range, wife hates the looks of the Bolt… Lets hope the M Y lives up to the hype and rumors. I’m glad that works for you. 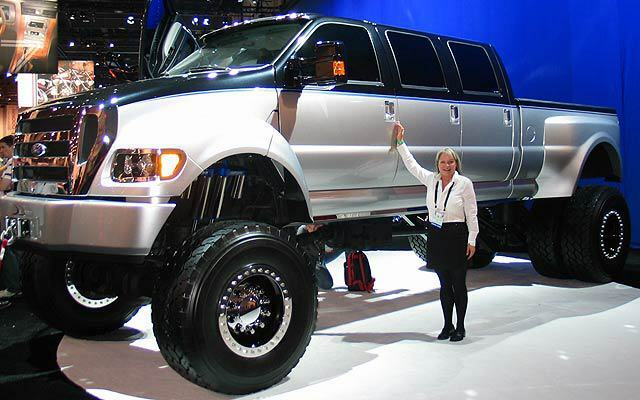 Obviously how much you can fit into a vehicle is a buying factor. But that is the same argument that has been made for years by huge SUV and Full Size truck owners who drive their massive vehicles solo back and forth to work empty day after day. It is essentially the same argument as the classic “you can’t carry sheets of plywood in your silly Prius” argument from truck owners that date back 20 years ago. Or the 1970’s argument that a huge boat of a caddy gas guzzler is better than a Datsun because of the massive trunk. Sure, but in this case the Bolt is not bigger than the TM3. It’s really only the looks and charging speed that work against the Bolt in this comparison. Actually, the impact of the hatch body shape with bigger opening also impacts efficiency. The larger hatch opening isn’t as optimal as the curved roof sedan shape. It is a classic example of trading the ability to carry more at the cost of increased fuel consumption. Tesla consciously choose the shape of their car to optimize efficiency knowing it would have less cargo space. It is the exact kind of trade-off of carrying capacity vs. efficiency that I was highlighting in my post. As a former owner of a Gen1 Volt and Spark EV, it’s all about how it drives, and after testing both I put an order in for the Tesla 3. I agree with you, but you’re also getting a car that is at least $10k more. Most people that buy cars don’t have such a range. I hear about people trading in Civics and Corollas for Model 3’s. I assume the Civic/Corolla is their 3rd car because most Civic and Corolla drivers don’t spend 3 times more for a car. If 100,000 people buy a Model 3, you can bet there will be a few econoboxes traded in for one. It’s a meaningless stat. When someone trades in a motorcycle or a bicycle for a Model 3, let us know. Civic was one of the top 5 cars traded in for a Model 3. It’s pretty surprising, actually. Surprising? I think normal. If you buy a brand new Civic in your thirties ii seems only natural to go up to a model 3 in your forties. In my life I’ve always bought more and more expensive cars. I commuted on an electric motorcycle and bicycle for six years. Then I bought a Model 3. I’m guessing that it is “all about how it drives” for you. For other people who have different needs and preferences, and therefore different priorities, well, not so much. I’ve been a “car guy” my entire adult life, and I LOVE cars that “go, stop, and turn” well (as the car magazines used to say). But if your life circumstances dictate that the hatch back form factor delivers considerably more utility, then it can override the zoom factor. This is why I never make fun of people who drive minivans. Heck, when I was doing arts and crafts shows with my woodworking, I drove a minivan. It’s just another version of “form follows function”. What’s funny is that the Bolt drives amazingly well. I’m not saying that the Bolt is as good as a Model 3, but it’s no dog. Certainly not like a minivan. The only car I’ve owned that was more fun was a Honda S2000. oh and that one company testing their electric drivetrains with a minivan …that could have been a blast to drive. I have both and the Bolt no where near the same feel in handling or confidence around a turn. I still love my hatchbacks and wish there were more to choose from in the US. Drive a Leaf for a few years. You’ll learn how great the Bolt is to drive! I have had the Model 3 since April 31st. It’s an amazing vehicle! I replaced my 2009 VW GTI, which, to my surprise will cost about the same when factoring in gas and maintenance. 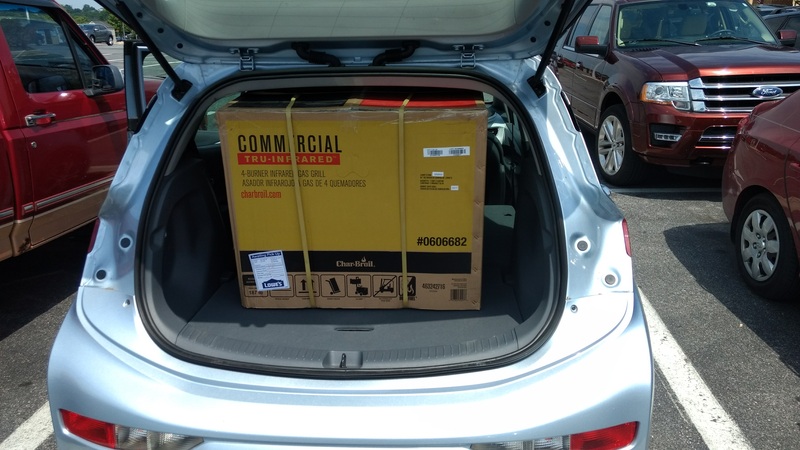 I do miss the hatchback functionality, but the Model 3 has an extremely deep and wide trunk with zero impedance from the hinges into the trunk space. So it’s not totally a miss. No, it doesn’t. You would have to make up numbers to justify the $25K GTI with the $50K Model 3. Electricity isn’t free. GTI starts at $26k and can be quickly optioned up much higher than that. Also, Model 3 qualifies for federal rebate of $7500 that comes off the TCO, and if in CA another big chunk of change in credits is available. So totally believable his TCO is comparable. I’ve had a few GTIs and they can reach around 36k optioned out. After the warranty is up maintenance and parts feels like you own an Audi. Thank you for just stating facts and leaving all the drama out. I had a reservation for a Model 3 from 5 April ’16 and when, at just shy of two years waiting, my estimate for a standard range car got pushed into 2019, I bought a Bolt and cancelled my reservation. The Model 3, at just under $40k was my dream car, but it and the Bolt were at the high end of my budget. My reservation getting pushed into 2019 and losing half the tax credit was the deal breaker. Maybe in a few years, I’ll find a nice used Model 3 to buy. Good choice. I’m guessing you’ll be glad you stayed away from Tesla in a few years. I’ll be staying away from EV’s until solid-state battery packs are available in reasonably priced EV’s. I would never buy a Tesla, of course. The future of the company is too uncertain. You’ll probably see many used Model 3’s for sale in a few years due to their owners being fed up with Tesla’s service department. Tesla is around long term, possibly after being bought by/merging with Apple or Google. Li-ion batteries continue their steep price reductions until they’re under $100/kWh. Li-ion batteries will improve in performance, but very slowly, relative to the price changes. We’ll see some tweaked chemistries, but likely no big breakthrough using Li. Supercaps/ultracaps will continue to progress, but won’t be able to compete with Li-ion in vehicle applications for at least 20 years. Non-Tesla car companies will get much more serious about EVs, but most will fall short of their current, on-the-record promises. E.g. a company does introduce several new EVs and PHEVs in the next 3 to 5 years, but the number of models is smaller than promised, and the models introduced are available in limited geographies and numbers. Everyone here and our fellow plugheads will continue to be VERY upset at the slow pace of progress. The rEVolution arrives, but not in exactly the form we’re envisioning. There should be plenty of used Model 3s in the near future, as Tesla owners love to upgrade to the latest and greatest. Is that what they call a “Sweeping Generalization”? Or what? Just asking becuz my grasp of English phraseolgoy may be faltering. Not a sweeping generalization, but a little bit of poetic flair of sorts. There is such a thing as brand loyalty. From what I remember, most current Tesla owners are happy with their car, and plan on having another Tesla vehicle in future, which is a more prosaic way of saying “love upgrading to latest and greatest”. The market expansion follows GM’s decision to increase Bolt EV output by 20 percent this year at a Michigan plant, even as U.S. sales slip. They said that last year. There will be far more and far better EV choices within 5 years. No need to rush to buy an EV at this early stage of development. If you are looking to stick a toe in the water – GM has a $199 per month + low down payment lease on 2018 Volts until September 10th. GM’s “recharge 180 miles in 10 minutes” EVs supposedly due by 2023 sure sound interesting. Why not wait for a flying car instead? It sounds a lot more interesting and it will be available in 2035. I’m waiting for the Tesla Model A (Airborne) myself. I’m surprised Elon hasn’t leaked details yet. IEVs posted a video of one recently, it’s out there flying. I’m holding out for the Star Trek teleporter, myself. Seriously. Captain Spock is rolling in his grave. No doubt there will be better EV options in 5 years, But 5 years is a long time to wait. I bought my Tesla 3 now in order to enjoy it now. Fools have been making this argument for years now against solar panels. Works tha same for evs. By the time you decide to jump in i will be $10k or more ahead of you in gas savings. I this point I’m convinced that these are the kind of people that are really bad at finances. I’m not in the market for a new car yet, but if I had to choose today, I would choose the Bolt. Besides the lower price, the deal maker for me would be Apple Carplay / Android Auto support. I also think the wagon/hatch is more practical, with better seating for rear passengers. I began to suspect that the quality of the Model 3 would suffer when they tried to ramp up production and it did. There are some things a company that has been building cars for the better half of a century can do better not that production volume is an issue with the Bolt. My main reason for buying a Bolt was price. GM had a $1K incentive. The state of Connecticut has a $3K incentive that isn’t available for Tesla cars because you have to buy the car in state, there are no Tesla retailers in CT. Then there is the $7.5K federal tax credit. If I had waited for a $35K Model 3 of dubious quality, the extra incentives would be gone and I would have to go back to driving an ICE vehicle because and electric car would be too expensive, this is difficult to contemplate. Actually, according to just about every report we’ve seen that’s not a hopelessly biased one from a diehard Tesla basher, Tesla has significantly improved the build quality of the Model 3 even as it’s ramped up production. That really helps the early adopters, doesn’t it? The quality of the Model 3 got better with production, according to several sources including CR. Go spread FUD somewhere else. “The quality of TM3 suffered by ramping up production” ??? To all what I heard and read until now, the initial beta version ‘birthing trouble’ like non fitting body parts (frame gaps) were ironed out over the month. Currently the trouble is more that painting can’t be done on-time based on capacity problems of the paint-shop, especially as double layer color is ordered way too often for the limited paint-shop capacity. Just look at the sales ratio of the Bolt to TM3, that tells a story of what people prefer. Sure, part of it is low production numbers for Bolt but there are quite a few Bolts sitting in the dealers’ parking lots waiting for potential clients. The TM3 outsells the Bolt even though it is significantly more expensive at this point in time. Yup. The status symbol of a Tesla is something that Chevy cannot compete with. But that doesn’t mean that there aren’t plenty of people for whom a Bolt is a better choice. Sure, the Bolt was a better choice than the TM3 for roughly 1 in 15 people in August (judging by sale numbers). There’s a lot of questions about how many Model 3’s Tesla can sell at their current price. And given 50% of the sales are in California it will be the bellweather of how sales are going. If you see a decline in sales there you know Tesla has hit the saturation point in the US. As I have always said the number of Model 3 vehicles that are sold at this point is expected given they had over 400k pre-orders. Given they’ve “opened” the order books it means there aren’t 350k+ pre-order people wanting a $49k+ vehicle. So once the Model 3 is in steady state sales in the US will it be 3K/month or 25k/month – that’s the real question? My current combination of a Bolt for my wife and the TM3 for me is a winning combination. She likes the Bolt for around town driving, and only charges about once a week, and I have a long commute and we take the TM3 on long trips. Just my 2 cents after owning a Volt and now a 2012 Tesla Model S.
There’s problems with both Model 3 AND BoltEV from my perspective. Bolt is a small car. Yes it is BIG for a small car but it is still a small car. The other problem is it’s not as good on a long trip. It charges slow and the charger network is pretty non existant. On the other hand I find myself longing for good old GM reliability. Model 3 LR is a great car but my wife doesn’t like it because it isn’t a hatch. Then I look at how much money I have to cough up for the 3 and it’s almost 30K. Ouch. My old S would only bring around 34 on the used market. Tesla would give me 25k$ on a trade in (arg! )….and the LR is 60K out the door. It’s nice but it’s not 30K$ nice. So I’ll just hang onto the old S for now. The battery will last a long time. Really wish GM hadn’t made the Bolt so hideous. Hatchbacks already sell poorly in the US, so no wonder Bolt sales figures are so low. All you need to do is emulate that classic Golf shape, like Honda did so successfully in the 80’s and 90’s. The dealers in the Seattle area just didn’t have any Bolts on their lots to sell. I suspect outside of California dealers it was the same thing everywhere else. As Chevy ramps up production, I think we will see the number of Bolts sales go up. GM is just lucky Hyundai/Kia can’t seem to ramp up production of the Kona and updated Soul EV in any meaningful way. Our local “National Drive Electric Week” event is listing 20 Chevy Bolt registered and 7 Tesla model 3 vehicles. So I think both vehicles have there place. It isn’t an issues. It is a misunderstanding of the usage. Use the Mountain or Sports mode will alleviate that problem!!! The hybrid buffer isn’t large enough to satisfy all use cases. That is why there is a mountain mode. As battery ages (naturally it would), the buffer will have less power to handle the higher demand. This clearly shows that GM doesn’t “shrink” or “adjust” the battery buffer over time!!! Mountain Mode was designed for climbing large mountains (Pike’s Peak large). It will hide this issue because it increases the battery buffer. But, it also makes the car drive like a turtle and reduces EV range. Sport Mode just changes accelerator pedal mapping and has no impact on the PPR issue. I had PPR on my Volt and can tell you it absolutely was an issue. Many Gen1 Volt 16kwh batteries have degraded to 12-13kwh, which doesn’t leave enough buffer to keep the car happy (causing PPR). GM’s “fix” for this issue is a special firmware that reduces usable battery from about 10kwh to about 9kwh. It remains to be seen if the PPR issue returns as the batteries continue to degrade. I do agree that the Gen1 Volt software does not (or did not) auto-scale the usable battery window to maintain minimum buffer levels. Possibly the PPR “fix” does enable some sort of auto-scaling. The bottom line is that GM should be replacing the degraded batteries, not reducing usable EV range. Especially 2011-12 owners who essentially pre-paid for an additional battery when they bought their cars. Seems like if you like the Bolt, you should buy one. If you like the Model 3, you should buy one of them. Neither have fatal flaws that completely disqualify them for large numbers of persons. If you like it and it works for you, buy it. IEV’s should post an article asking all TM3 owners what they traded in for or if there was no trade in. the cheaper one, obviously. though that price difference still isn’t enough to make it affordable to me. Pretty good comparison video, but a couple issues I had was 1.) they skipped very fast past the interior dimensions comparison. While people complained a lot that the Bolt is a tiny car, the interior dimensions show that is very close and exceeds the model 3 in some cases. The Bolt is a well packaged vehicle. 2.) the comparisons of safety tech was not very clear to me about what is and is not included standard in the Model 3 vs with Autopilot. Is there two different levels of autopilot you need buy? It’s also confusing a bit becuase Tesla uses different terminology for features that seem similiar to other automakers. I think that part of the comparison could have seen ent more time on and made clearer.